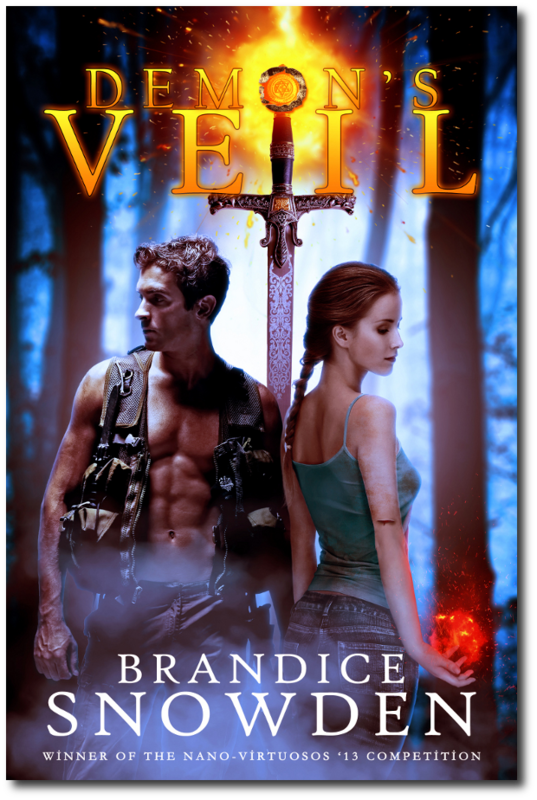 I am so excited to help reveal the phenomenal cover for Demon's Veil by Brandice Snowden, a fellow Curiosity Quills author. In addition to being one of CQ's newest additions, Brandice was the winner of the 2012 NANO-Virtuoso Competition and an all around sweetheart. Demon's Veil is slated for release on July 15th. Isn't the cover absolutely gorgeous?! Summary: Powerful veils hold Earth apart from realms mortals believe are merely tales of myth and legend. They are opening again, leaving humans vulnerable, and the monsters ready to strike. Marie Leveau prefers to remain alone and anonymous, for she knows what goes bump in the night, and sacrificing others isn't part of her personality. But life isn’t always about getting what you want. Contracted by The Organization, a shadow government agency, Marie is assigned a new Special Ops team, one she must introduce via Paranormal 101 to the very monsters they didn’t believe existed. Marie and her team are sent to Asia in search of an ancient relic, leading them into the jungle and tests of a fragile new bond. Despite the initial distrust, and an unholy battle with a demon-god, the team survives, their lives forever changed and woven into an unbreakable tapestry. Returning home, the new friends sense the very people responsible for their safety are willing to sacrifice them all in the name of power. They learn of a prophecy, and The Paladin, the one person able to close the veils and keep the mortals safe. With few clues, the team must unravel the prophecy and figure out how to close the veils. Or the monsters will use Earth as ground zero, innocents be damned. Adult Urban Fantasy: Intended for readers 17 years of age and older. Visit Brandice on Facebook and Twitter. Great cover. Thanks for sharing.